So the question remains… why does DFA and Jesse Keeler get a pass from the music press and community about his blatant and obvious ties to Gavin McInnes, The Proud Boys and The Alt Right? Why does the press fail to question him on these things and continue to write puff pieces? I first met Gavin in 2003 or 2004 as a founding member of Vice Magazine. Vice had started a record label and my band released records with them in the U.S. Through that connection, we became loosely acquainted. Our first interaction was back around 2004 when he called me up to do an interview with our band for his magazine. He offered to either do an interview or “just make some stuff up.” The latter seemed more fun/interesting to me at the time and so that’s what he did. Back then he was mostly known as the writer of Vice magazines famed, and often not so politically correct fashion section, “Dos and Don’ts”. In short, he was a comedian. Through the years we remained friendly and as our lives diverged, we spoke only on occasion, mostly about Dad stuff as we both have kids. After leaving Vice, Gavin had been doing stand-up comedy, making movies and writing books, all seemingly a continuation of the wreckless comedy style he had implemented in the magazine. Over time, I watched many people distance themselves from Gavin both professionally and personally. I always perceived that as people just thinking he was “a little much.” In short, I gave him the benefit of the doubt. Keeler says it was after the election night special that he “began noticing that Gavin was promoting violence and a form of radical politics that I absolutely do not agree with,” and “as far as immigration and nationalism: I am the child of an Indian mother and a Canadian father. I was raised in Canada by my immigrant-Indian family who struggled to make it in a new country. I watched my highly educated Indian grandfather deliver the newspaper his whole life, instead of working in his proper field. My skin tone may not tell this story, but it’s a fact.” You can read Keeler’s entire response to the Medium.com article below. 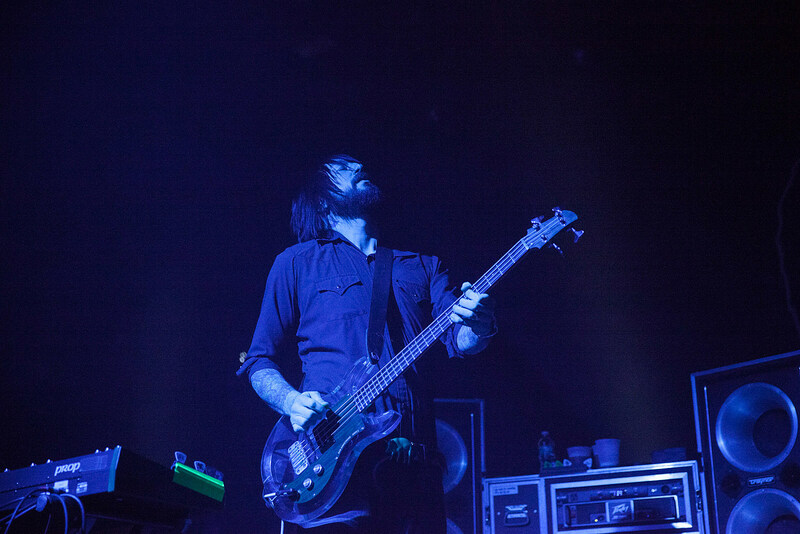 Death From Above are currently on tour and played Brooklyn Steel earlier this week.